With the increase in housing prices over the past few yeas and the recent changes in LVR for investment properties, more and more people are considering purchasing an investment property with a group of family members or friends. In today’s post, we’re going to explore the pros and cons of this arrangement and discuss things you can do to make the relationship and investment a fruitful one. The main benefit of purchasing an investment property with other people is that it lowers the financial burden for each person. When you jointly own a property, you are able to share the cost of the deposit, mortgage payments, transaction costs and ongoing maintenance expenses. For many people, co-ownership can help them get on the property ladder sooner than they could on their own. Assuming you have a healthy relationship with the people with whom you are buying the property, then you’ll be able to troubleshoot any issues together. If you choose to manage the property yourself, you’ll have a group of people available to respond to tenant concerns and handle property maintenance and repair needs. When issues arise, you’ll be able to find the best solution together. Homeownership in itself is a complicated process and investment properties that are rented out to tenants bring an additional level of overhead. The biggest risk of investing in property with other people is that one person in the group could default on their mortgage payment. If a payment is late, everyone in the group is liable. Another problem that can occur is when one person wants to sell before the others are ready. Lastly, there’s always the risk that the arrangement could sour the relationship and result in bad feelings among family or friends. Choose the correct legal structure for your arrangement. There are three options commonly used by groups of people purchasing an investment property together: General Partnership, Company and Limited Partnership. Understanding which one is best for your group is critical – we encourage you to see legal advice to ensure that you set yourselves up right from the beginning. Try to identify any source of problem or conflict upfront. Discuss how you will handle difficult situations, such as one party being unable to make a payment. By talking through these scenarios and coming up with constructive solutions, you’ll be better prepared if they do arise. You’ll also gain valuable insight into how the other members deal with conflict resolution. Document everything. Be sure to record all the details of your arrangement, including the ways in which you’ll resolve issues. You’ll need to document the amounts that each party is paying towards the deposit and how you’ll handle maintenance or repair expenses and responsibilities. Be a diligent bookkeeper. 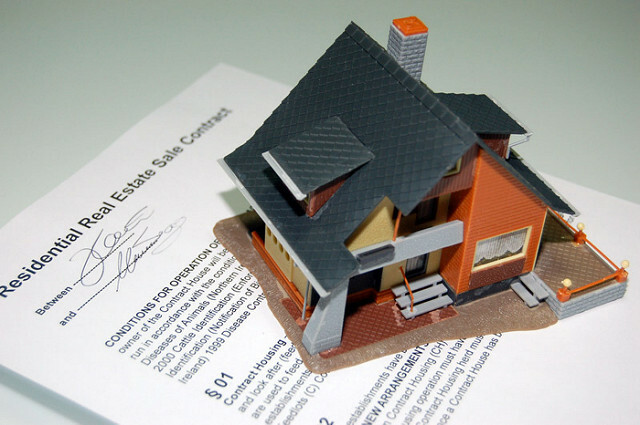 Once the property has been purchased, be sure to keep careful records of incurred expenses so you can ensure that they are divided equally among all parties. This will prevent any individual from feeling that they are shouldering more of the financial burden than others in the group. If you’re ready to move forward with the purchase of an investment property with family or friends, we encourage you to contact us today. Our team understands the ins and outs of joint property ownership and can help you find a property that meets everyone’s needs. We can also provide you with the referrals necessary to help you get set up properly and ensure your venture is a success.